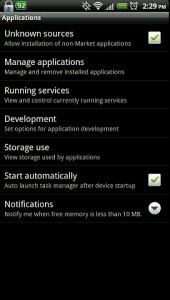 In today’s lesson, we’ll show you how you can install non-market, third-party apps & APK files on your Android devices. As you already know, the official source for apps on your Droid devices is the Android Market or now known as Google Play (I hate this name, by the way). Google Play can be accessed online using a Web browser, or right from the Google Play app that Android devices come preloaded with. However, Google allows its’ users to get their apps from anywhere they want. That is the great thing about Google (as compared to Apple), they don’t restrict their users and they allow you to use other app stores. Why would anyone want to load a non-market, third party app? If you look around the Web, you can find many sites offering Android apps. The apps on such sites may or may not be in the official Google Play store. Some Android app developers don’t publish their Android apps on Google Play for various reasons. For example, one possible reason could be to avoid the cost of publishing apps via the Google store. Another reason could be that the Android app doesn’t comply with Google rules for their Google Play market. Be careful when installing apps from third-party sources. Some apps can contain malware, so make sure you get apps from reliable sources. Besides Google Play (formerly known as the Android Market), there are several other popular app markets available. 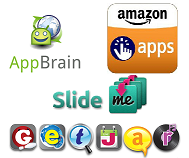 Some of the well-known third-party app markets are Amazon App Store, AppBrain, GetJar, and SlideME–although by mentioning them, we are not necessarily guaranteeing that the apps on those sites are safe or will run on your device. 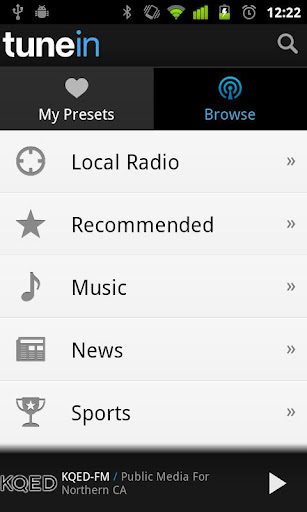 For those of you with rooted devices, CyanogenMod is working on a third-party app store as well. 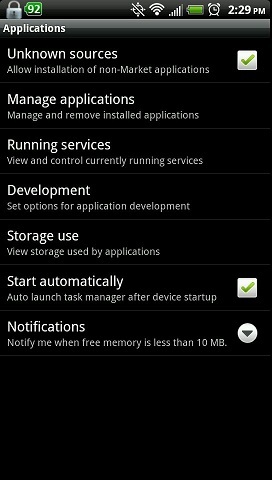 As a safety precaution, all Android devices come with the option to install “non-market” apps disabled by default. If you want to allow the installation of non-market, third-party apps on your smartphone then you’ll have to follow the steps below to get your settings configured properly. That’s it! Now you can go to one of the third-party app markets mentioned above and start downloading APK’s (which is what they call Android apps that are compressed into one file). Step 1: Using the Web browser on your Android device, go to one of the third-party app markets mentioned above. Step 2: Search for the apps you want. Make sure you read the descriptions so you’ll know whether an app is compatible with your Android device. Step 3: Download the app to your Droid. Step 4: Open your file browser app (my personal favorite is ASTRO [Market Link]) and locate the APK (Android Package) file. Step 5: Install the APK file. 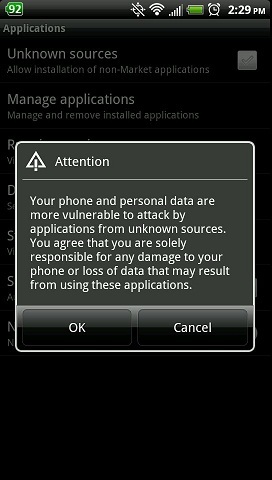 This is usually the default action when you tap on the APK in your file browser. So what do you think? Did this work for you? What has been your experience with installing non-market APK files? Do you have any suggestions or recommendations? Let us know in the comments below! When i click the download button it always says ” the requested item could not be found”. Why is this happening, what shall i can do? I have a Motorola Backflip unlocked, by default I cant install 3rd party apps and there is no Unknown Sources option under Application. How do I get arnd this? Thanks man! this really is helping but it is taking ages to open the folder I put it in, Should I move the app to an easier place to get to or should I just keep waiting.